2019 will be the 15th summer of Peter’s leadership at Copper Cannon Camp and his 32nd in camp administration. He has run programs throughout the country with the common thread being a heartfelt belief in the good camp does for the campers. Peter has seen the impact quality staff can have on youth. He holds a Masters Degree from Northern Illinois University in Curriculum and Instruction and did his undergraduate work at Gonzaga University. Married with four children of his own, Peter knows what parents need in order to feel comfortable with a camping program, what children want from camp and how to meld the two together. 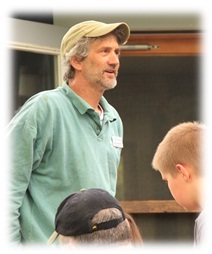 Through the years, his children have grown up at Copper Cannon and share his passion with Peter’s only daughter running the arts and crafts program for the summer of 2012. His wife, Teresa, is an active volunteer with Copper Cannon having been instrumental in the growth of our Counselor in Training (CIT) leadership program since its inception and taking a lead in the annual auction. Favorite camp food: “Dough on a Stick” – fabulous cooking over a fire… burnt on the outside, raw on the inside, but who cares? Best memory from Copper Cannon: Meeting one of the first campers from 1963, who was so excited to share stories of his time at Copper Cannon Camp. Biggest Challenge: Finding enough hours in the day to make the program even better. Vision for the future: To see more former campers returning to Copper Cannon as staff. As of 2019, Katie has worked in the camping world for the past 26 years. Her experience ranges from high end, expensive camps to Girl Scout and YMCA camps. She received a Bachelor’s degree in Human Services/Counseling from Northern Vermont University. She received a Masters of Science in Sport Psychology and is currently working to finish her dissertation for her PhD in Educational Psychology. Her topic will be on the cultural adaptation of summer camp staff. Katie has a Labrador Retriever named Maximillion. Max will be playing with Roscoe and running around the camp while his mom is hard at work in the office. Campers will love Max’s playful personality and never-ending energy! Biggest Challenge: Learning what I am doing! Vision for the future: After learning my job, enhancing the experience of the campers and staff of Copper Cannon! Olivia is a native of Bethlehem, raised in a log cabin right on the edge of the Bethlehem Country Club golf course. She spent summers dreaming of sleep away summer camps like she had seen in the movie The Parent Trap. Now here she is working for one right in her home town! The summer of 2019 will be Olivia’s first summer as part of the Copper Cannon family. Before arriving at Copper Cannon, Olivia spent her time working with children and adults in the therapeutic recreation field. Working in the therapeutic recreation field gave Olivia experience in areas such as equine therapy, animal care, day camps and outdoor recreation. 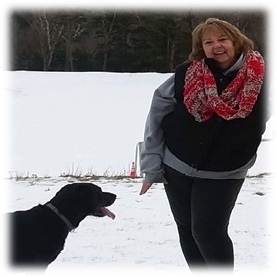 She received her Bachelor’s degree in Therapeutic Recreation from Utica College, and continued on to become a Certified Therapeutic Recreational Specialist. Best memory from Copper Cannon: Volunteering at the auction and hearing the touching camp story (that had me all choked up) from a former camper. Biggest Challenge: Deciding the order of my to-do list, everything is important! 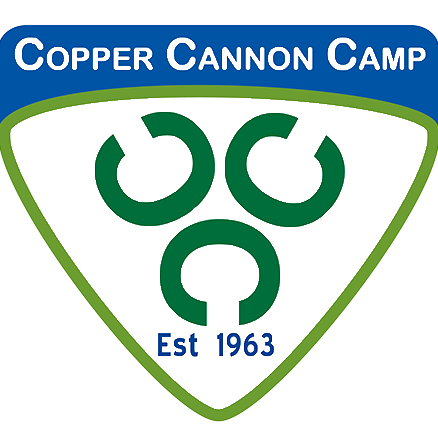 Vision for the future: Assisting the Copper Cannon team in continued growth of the program. If you are interested in joining the board or a Copper Cannon committee, give us a call at 603-823-8107. Every year, Copper Cannon hires between 15-20 staff to be a part of our wonderful camp experience. Staff come from all over the state, country and world in order to give the campers (and the other staff) an experience spanning many cultures. During last summer, our camp had counselors and staff from countries, including Australia, Poland, Mexico, Finland and England. All Copper Cannon summer staff go through an extensive interviewing and screening process before being selected to join camp. After arriving, all staff go through a 10-day staff training to ensure they are the best possible counselors to show your children a fun and safe time. If you are interested in becoming a Copper Cannon staff member, check out the Staff page for more info.